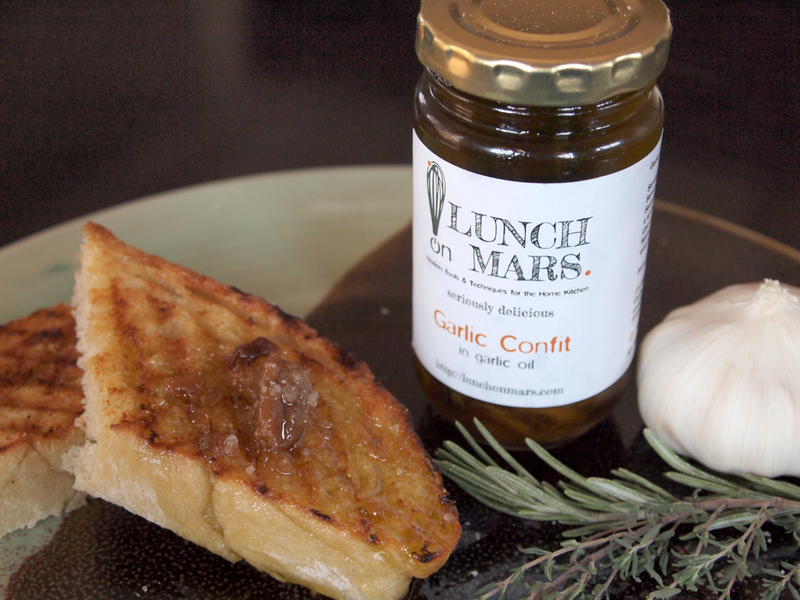 Inspired by a recipe in Modernist Cuisine at Home, I have created my first Lunch on Mars product – Garlic Confit in Garlic Oil. This is a seriously delicious condiment that consists of rosemary, thyme and garlic pressure cooked for a looooong time in extra virgin olive oil. It is delicious with any roast, or simply spread on bread with a sprinkling of flaky salt. Use the garlic oil to add deep flavour to vegetarian stews and soups, even when the garlic is finished. Contact me if you’d like to find out where to get it, either in the comments, on twitter (@NeilLowe) or via email on neil [dot] lowe [at] me [dot] com.